New Garden Festival - up and running! It's a funny feeling doing something and feeling that what you are doing might be the start of something really major. I had that feeling on Saturday at the first Gardens Illustrated Festival, in Malmesbury, a small and very picturesque town in southern England. It was an event we had been planning for over a year, and dreaming about much longer. When it finally happened there was that wonderful feeling that perhaps this was the start of something. A few years ago I had spoken at the Swarthmore Convention, an annual get-together just outside Philadelphia. It was a great experience – 750 plus people, from all aspects of the garden world and indeed beyond – I was much impressed by all the folk from the landscape profession, who could be used as 'plant users' rather than gardeners as such, plus nursery people, amateurs and people from the community garden network. The US however does have a much stronger tradition of people getting together to learn, network and share experience. So, early last year, the designer Annie Guilfoyle and I sat down over a bottle of wine, and about halfway through we had decided that we should try and organise something similar. She had been to an event for garden design professionals which had been run by Chris Marchant of Orchard Dene Nurseries – the number one stop for contemporary perennials in Britain. Annie, unlike most Britsh garden people, was also getting into going to conferences in mainland Europe: I Maestri del Paesaggio at Bergamo and ISU (Hardy Plant Union) in Germany. 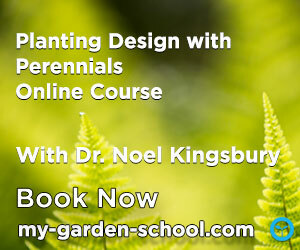 Gardening can be a very solitary occupation, particularly for those professional involved. The opportunities to meet others, or to do professional development, are quite limited. Amateur gardeners are perhaps a more sociable lot - indeed many garden clubs feel more social than horticultural. Garden clubs however tend to operate on quite a local basis, and the opportunities to hear or meet top-notch people in the profession are limited. We in Britain have a tradition of short-duration flower shows, which to some extent have added on a lecture or workshop component, but not usually very successfully - I have had two awful experiences lecturing at the otherwise very good Malvern show. Apart from anything else, people are not in a sitting down and listening mode, they are too distracted by what we call in English 'all the fun of the fair'. If they sit down they do so to eat their sandwiches, discuss things they have seen with the people they have come with, or fall asleep; anyone who does a presentation at one of these shows will be familiar with these behaviours. No, Annie and I wanted to create a forum where the listening and communicating came first. We talked over various options and in the end, as neither of us fancied taking on the logistics, took it to Juliet Roberts, editor of Gardens Illustrated, who almost immediately said that she'd like us to work together, as it was something that she had been thinking of for sometime herself. The company who own the magazine took on the logistics and a year later, it all happened, thanks to the enthusiasm of Marie Davies, the publisher herself. The gods smiled and poured sunshine onto southern England. People came, listened, talked, bought and went away happy, informed and inspired. What we were aiming for, and I think achieved, was something of the character of a literary festival, one which was accessible in its location, pricing and outreach. People pay for the events they want to go to, wander about the town, visit the marquee where a small selection of stands sold their wares, visit the famous and rather relentlessly colouful Abbey Gardens, hang out in the cafe – etc. And we had a team of garden staff from Sissinghurst who camped out locally (brrrrr) and ran a garden advice clinic, and a garden design clinic run by Rosie Nottage. We need however, to think about next year. We want suggestions as to who and what we include. There is a fundamental need to 'play safe' and have big names to achieve the proverbial 'bums on seats' but we have to provide opportunities for less well-known people in the garden world to be heard as well, and to create spaces for discussion and debate (after all, we don't all agree on everything all the time do we?) and perhaps most importantly learning opportunities. I would like to see workshops – where people could learn new skills off experts, panel discussions where issues could be aired and events that linked gardening to the wider world of the arts, philosophy and society. So we'd like to hear from you. 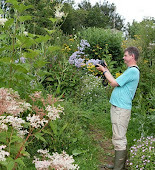 Come to Gardens in the Wild in lovely Herefordshire. June 20-21. Interested in learning opportunitities with me in Herefordshire and Devon too - check out my diary left. There are some workshops coming up. I'm currently getting towards the end of writing a book provisionally called A Garden Flora, the Origins, Ecology and History of Garden Plants, to be published by Timber Press, 2016. The book is an introduction to garden plants - not how to grow them, but the ecology of their wild ancestors, traditional uses and their history in cultivation. The idea is to fill in on the context and background of familiar genera, so gardeners have a better sense of where a plant is from, geographically and historically. 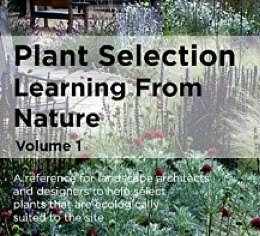 It's intended as reference, for dipping in, and hopefully as a way in for those who want to go and on and do further research into particular plants. 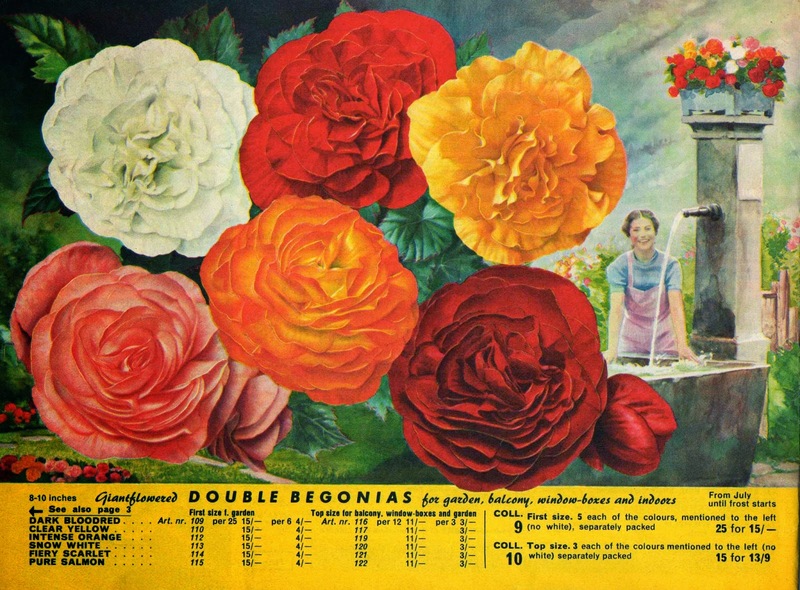 vintage publicity material for plants, seed companies, nurseries, where particular plants are a clear part of the image. Unless really exceptional, images need to be in colour. So, if you think you might be able to help, then do send me an email (noelk57@gmail.com), and I will send you a list of the genera I am looking for, and the specifications. We can't pay for images but will of course credit you.